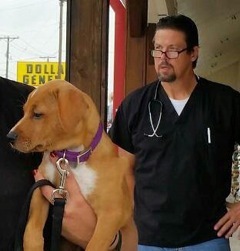 The Mobile Pet Care Clinic of Texas, San Antonio’s “original” source for low-cost pet vaccinations and affordable pet outpatient treatments, will be holding a clinic at New Braunfels Feed & Supply soon. The clinic will offer Rabies vaccines, Arthritis shots, Health Certificates, Heartworm Tests, 4-way Cat vaccines, Dog vaccine packages, Dewormings, and Bordetella vaccines. For more information regarding the Mobile Pet Care Clinic of Texas visit their site at www.mpcoftexas.com. Stop by New Braunfels Feed and Supply for all your pet food and supplies needs. If you have any questions about the Clinic, please let us know. Upon request, we will gladly call in a prescription for medications our veterinarians may prescribe for your pet. Unfortunately, little guys like us can’t compete on price with the big box stores, large online retailers, and others like them and hope stay in business very long. In order to offset some of the difference for our clients, we don’t charge our standard office visit fee (currently $49) for our preventive services and offer discounts on immunizations, testing, parasite control, and treatments for those clients who choose to buy their prescriptions “locally” from us. That said, some clients request to pay the standard office call fee and forego the prescription loyalty discounts in order to have the prescription flexibility. And that is perfectly fine…we just want to make sure your pet is protected, regardless of where you choose to get his/her medications filled. This entry was posted on Thursday, January 31st, 2019 at 9:00 am	and is filed under Events, News & Updates. You can follow any responses to this entry through the RSS 2.0 feed. Both comments and pings are currently closed.